seeds. The company further engages in value addition of cotton seed to oil, seed-cake and soap. Because of a more assured captive source of production, Mutuma’s ginning operations provide employment to 243 casual workers during a period of up to eight months of the year, and 26 permanent workers throughout the year. Most cotton gins are only open less than four months out of the year, because cotton production is highly seasonal and entirely dependent on rainfall. Kiyunga is in one of the regions where cotton was introduced in 1903. Cotton is a key source of income in these areas, categorized as a strategic industry by Government of Uganda. Supporting smallholder farmers and small and medium enterprises in this sector is seen as one way of improving their standards of living, while contributing to generation of foreign currency. 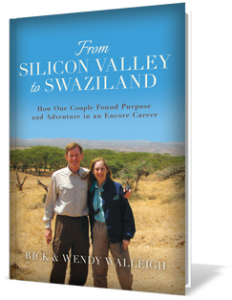 Though its efforts are small when viewed from a country-wide perspective, Mutuma is an important contributor. With TechnoServe support, in 2010 Mutuma began to add significant value to lint through the production of Absorbent Cotton Wool (ACW). ACW has helped to minimize operational seasonality, a challenge common with cotton ginneries, thus ensuring that the Mutuma operates throughout the year. With assistance from TechnoServe, Mutuma is benefiting from nearly 4,000 smallholder farmers being organized into farmer business groups who are supplying seed cotton to them. Through these groups, individual farmers receive increased access to extension services which include: agronomical training, the opportunity for complimentary side enterprises, transport of seed cotton, input (e.g.,pesticides) provision, and linkages to financial services. For example, Opportunity International has provided 269 farmers with a credit equivalent to almost US$55,000 to support farm preparation, planting, fertilizer purchases pesticides application, spray pumps, land hire, weeding and harvesting etc. Beyond farmers organized in groups, Mutuma also buys from other farmers in region estimated at 3,000 farmers who are provided with a competitive direct market link. Thus Mutuma has built a strong reputation with small scale cotton farmers. 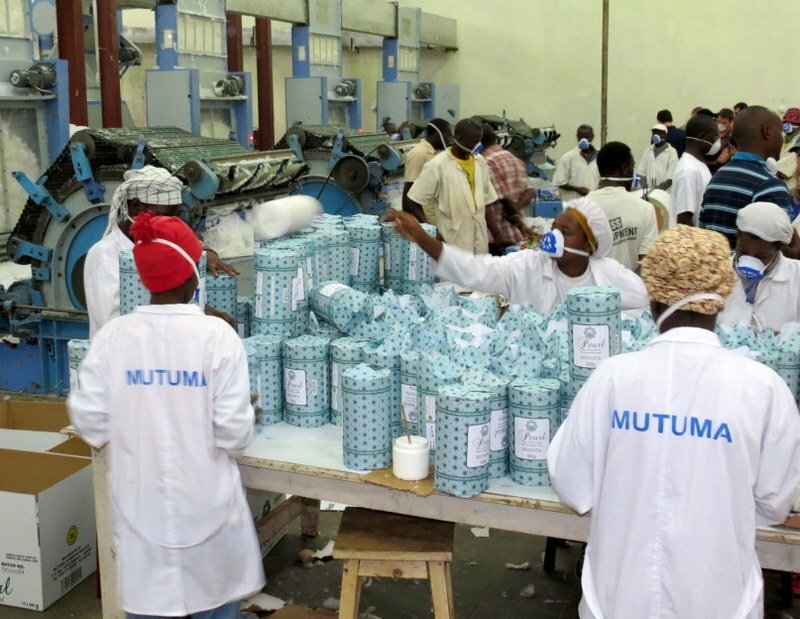 With a total employment base of 243 employees in the ginning, oil milling and absorbent cotton processing at peak season, Mutuma creates positive economic effects for local communities. This includes job creation, opportunities to engage in complimentary/or auxiliary enterprises e.g. seed cotton transportation, ploughing services, spraying as a business etc, as well as benefiting from the services and additional goods that Mutuma’s employees purchase. Thus other businesses in the Luuka district indirectly benefit from the money multiplier effect. In every cotton production season, Mutuma buys seed cotton worth approximately US$1.5 million from nearly 6000 farmers–directly supporting improved livelihoods of those households. The Absorbent Cotton Wool produced by Mutuma has made it possible for Uganda’s health sector to substitute imports, and retain value in Uganda. Though tiny in national terms, these kinds of enterprises are what Uganda needs to increase its current account balance. Mutuma has the ability to supply both government and private sector distributors and users of the product. Currently Mutuma is regarded as the No.1 supplier of quality cotton wool (Pearl Brand) to Joint Medical Store*. Through distributors like Investors Nest; Mutuma continues to provide its products to pharmacies, clinics and hospitals in Kampala. Production of absorbent cotton production has opened a number of further opportunities along the medical supply value chain. Further value addition includes: cotton balls, antiseptic cotton gauze, cotton swabs, cigarette filters, feminine hygiene products, diapers etc. Mutuma will explore the option of diversifying by 2015 into other product like cotton swabs and cotton balls. Then over time it is possible for Uganda’s health sector to substitute a number of imports into their healthcare product market. Mutuma plans to invest nearly US$200,000 in acquiring key manufacturing equipment to allow for this diversification. In other words, Mutuma could become a model of industry in Uganda, not just cotton ginning. * Although set up initially as a service unit for channeling relief supplies to health facilities belonging to the two bureaus, JMS over the years, gradually developed into a not-for-profit wholesale enterprise, procuring, storing and selling over 2000 products available ex-stock, including pharmaceuticals, medical and surgical sundries, equipment and instruments as well as laboratory supplies.